This recipe is one of those Sunday dinner comfort foods! 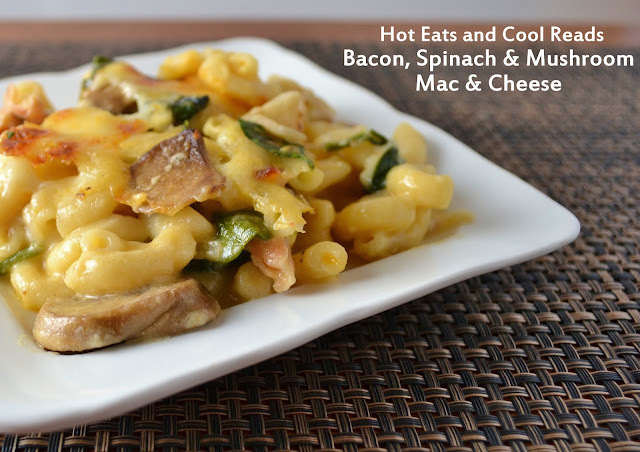 Hearty and delicious! Melt the butter in a medium saucepan over medium heat. Add the onion and paprika and saute for 5 minutes. Add the flour, stir and cook for 1 minute. Add the milk, velveeta and swiss cheese. Heat until the cheese is completely melted, stirring often. Season with salt and pepper. Meanwhile saute the mushrooms, baby spinach and cooked bacon in a skillet over medium heat for 5-7 minutes until spinach is wilted. There should be enough grease released from the bacon to saute. Preheat the oven to 350 degrees. Grease a 9x13 baking dish. Pour the cooked macaroni in the baking dish, adding the bacon, mushroom and spinach mixture on top of that, then pouring the cheese sauce over the top. Bake for 35-45 minutes or until the top starts browning. WoW Sheena, This looks really good! I love macaroni and cheese. Well this sounds like it is just up our alley here at my house! I found you on fantastical sharing of recipes linky party! It's a pretty great recipe! So glad you stopped by! How to make my OH happy? Add bacon to the mac and cheese. What a fabulous way to dress up Macaroni, this looks delicious. Hope you are having a great Valentine weekend and thank you so much for sharing with Full Plate Thursday. I'd like to invite you to link up to Show and Tell Saturday at Sassy Little Lady! 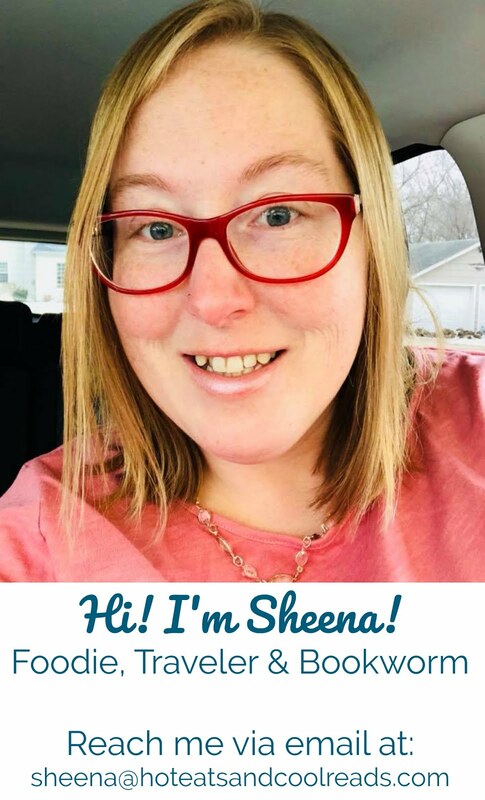 You are killing me Sheena! Looks delicious and it combines some of my favorite things! I'm pinning to try soon. Thanks so much for linking up to the Weekend Potluck. I love to see what you bring every week. Have a terrific week! This looks really delicious! Thanks for sharing on Foodie Friends Friday. Sheena, this recipe is just awesome! Who could resist a bowl of creamy mac n cheese that has bacon, mushrooms and spinach in it?! I sure couldn't! Pinning and sharing on my Facebook page. Thanks for sharing on Marvelous Mondays! This looks so creamy and delicious! 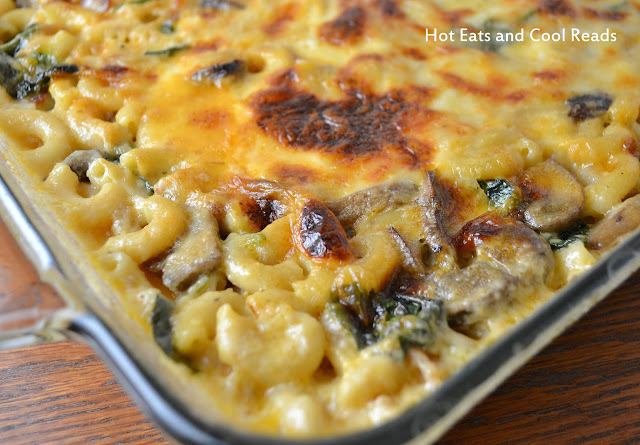 Oh man - mac 'n' cheese with veggies - talk about a comfort food I don't have to feel guilty about. I love it! This looks like it might be the new best thing in the world. Can't wait to try it. I love variations of mac and cheese. And I bet the bacon and spinach make this absolutely fabulous. You have a great food blog here-I'd love to see you join me each week at Must Try Monday. The party is still open if you want to join in. Mac and Cheese is such a comfort food. I love that you added some other goodies to make it even better! Thanks for linking up to the In and Out of the Kitchen Party! Can't wait to see what you bring next week. I love bacon too so I'm sure I would LOVE this! So glad you shared at last weekends link party @The Weekend re-Treat! I am putting this on my March menu that will be available in a free printable with a hyperlink back to you. The post goes live on Thursday 2/28. Thanks so much for helping me plan my menu!